At other times, and for past tournaments, click the "Results" button below. 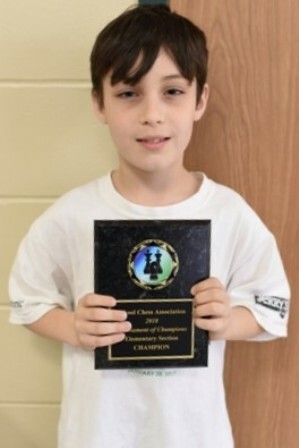 Individual players compete for the titles of School Chess Association Statewide Primary Champion and School Chess Association Elementary Champion with the top 16 in each tournament qualifying for the Tournament of Champions on May 18th this will be a rated section at Zachary Lane Elementary, in Plymouth. 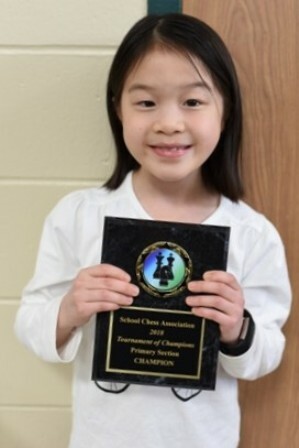 REGISTRATION FORMS can be found on the website at www.schoolchess.org just click on Statewide Tournament on the left-hand side of the home page and mail before April 20TH. Late registrations after April 22nd will be $10.00 more. AT DOOR REGISTRATION is at 7:30-8:15AM at Robbinsdale Middle School. REGISTRATION WILL CLOSE PROMPTLY AT 8:15AM. Team rooms will be available. 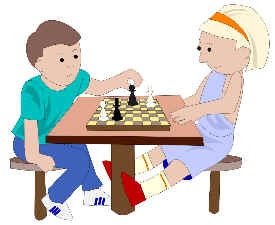 If you need a team room please e-mail me at: lorene@schoolchess.org for additional information. Schools compete for team awards in Primary and elementary divisions. All team members must be from the same school. Home-schooled players may represent the school that is in their attendance area. Team scores based on top four players from each school. PLAYERS DO NOT NEED TO BE A MEMBER OF A TEAM TO PARTICIPATE FOR INDIVIDUAL TROPHIES. Those pre-registered can check on-line for accuracy of registration. Found on the left-hand side of the home page just click on Statewide Tournament. Please arrive early to check where everything is located. Remember to pick up the booklet at the front door for all the information and location of room. REMINDERS: Bring your chess set, notation pad and pencil. Limited number of chess sets will be available. Check your spam, junk or trash Email folder to see if SCA announcements were incorrectly filtered out; if so, click the appropriate setting, for example, “Move-to-Inbox” and Mark as “Not Spam”. Did you receive the latest e-mail from SCA? If not, please join the mailing list. We're no longer sending updated tournament dates by mail. To receive the latest tournament dates, please update your e-mail address by contacting registrar@schoolchess.org.